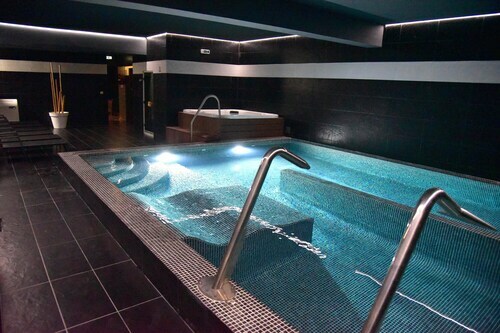 Situated in Resende, this spa hotel is within a 5-minute walk of Caldas de Aregos Thermal Baths and Caldas de Aregos Marina. Municipal Stadium Cinfaes and Junta de Freguesia de Cinfaes are also within 12 mi (20 km). 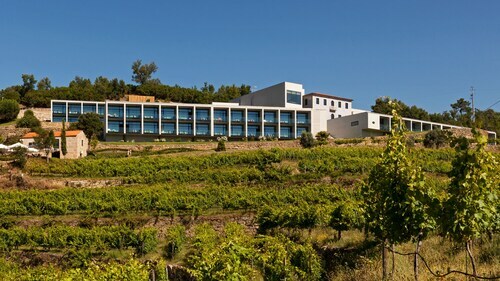 Situated on a river, this hotel is steps from Caldas de Aregos Marina and Caldas de Aregos Thermal Baths. Municipal Stadium Cinfaes and Junta de Freguesia de Cinfaes are also within 12 mi (20 km). Located on a river, this family-friendly hotel is within 12 mi (20 km) of Baiao Municipal Museum, Municipal Stadium Cinfaes, and Junta de Freguesia de Cinfaes. Caldas de Aregos Thermal Baths and Caldas de Aregos Marina are also within 16 mi (25 km). Situated on a river, this country house is 7.8 mi (12.6 km) from Baiao Municipal Museum and within 16 mi (25 km) of Municipal Stadium Cinfaes and Junta de Freguesia de Cinfaes. Caldas de Aregos Marina and Caldas de Aregos Thermal Baths are also within 16 mi (25 km). Situated on the waterfront, this romantic vacation home is close to Caldas de Aregos Marina and Caldas de Aregos Thermal Baths. 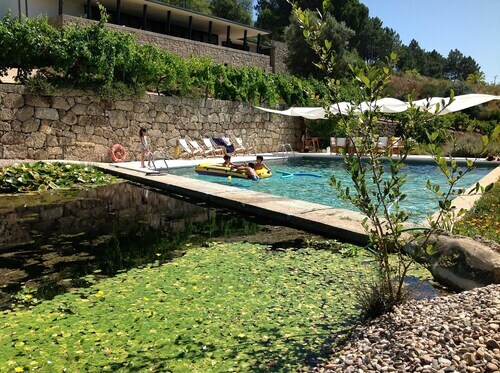 Area attractions also include Junta de Freguesia de Cinfaes and Garden of Saint Bartholomew. 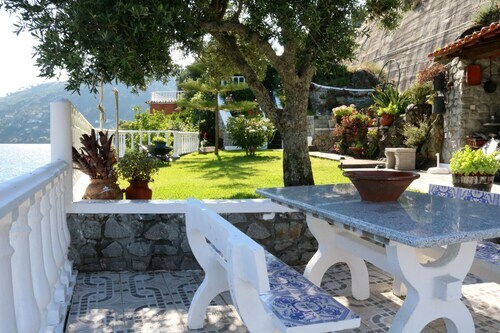 This family-friendly Baiao farm stay is located on the waterfront, 7 mi (11.2 km) from Baiao Municipal Museum, and within 16 mi (25 km) of Caldas de Aregos Thermal Baths and Caldas de Aregos Marina. Municipal Stadium Cinfaes and Junta de Freguesia de Cinfaes are also within 16 mi (25 km). 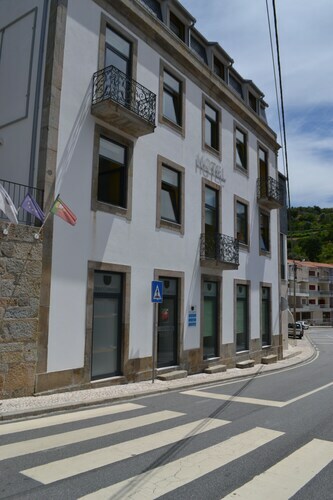 Situated on a river, this historic vacation home is 1.8 mi (2.8 km) from Caldas de Aregos Marina and 1.8 mi (2.9 km) from Caldas de Aregos Thermal Baths. Junta de Freguesia de Cinfaes and Municipal Stadium Cinfaes are also within 16 mi (25 km). Located on a river, this family-friendly property is within 12 mi (20 km) of Baiao Municipal Museum, Caldas de Aregos Thermal Baths, and Caldas de Aregos Marina. Municipal Stadium Cinfaes and Junta de Freguesia de Cinfaes are also within 12 mi (20 km).